***Late applications will not be accepted - so please turn them in early! Please also take a moment to review the CHARMS calendar for upcoming rehearsals, due dates, performances, and more! Post Spring Break Updates and Deadlines! Thank you to everyone who has been patiently waiting for State Solo and Ensemble performance times. Please allow yourself ample time to find the school, check in/get a map, warm up, and find your performance room. Also remember that school transportation to and from this event will not be provided. Please understand that scheduling for this event is very difficult, and that performance times cannot changed. 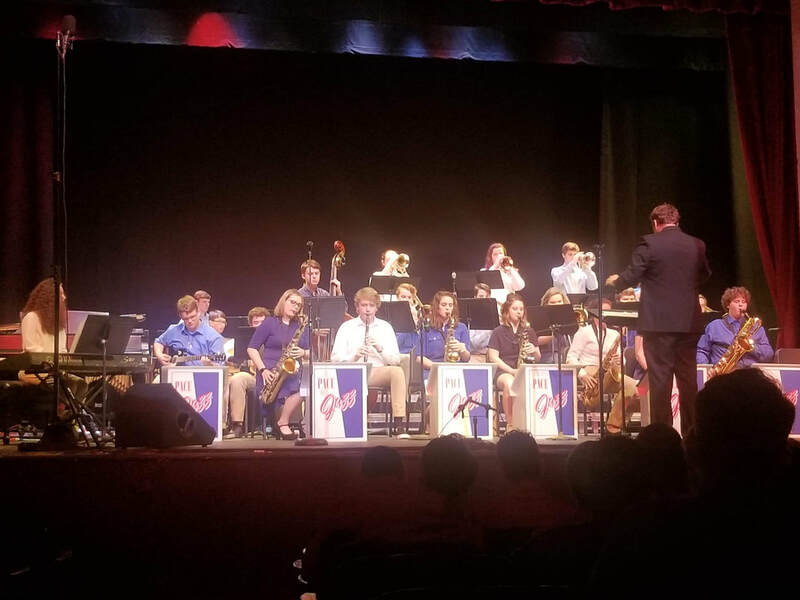 Congratulations to the Concert Band, Symphonic Band, and Wind Ensemble for each giving an exceptional performance at their annual Concert Music Performance Assessment this past weekend. Thank you to everyone who attended these performances and supported our students! It is never fun to play in front of an empty auditorium. These students will begin to prepare new music for our spring concert in May. Wind Ensemble students will be preparing to perform at the State Concert Music Performance Assessment on Tuesday, April 23rd. This performance will be held at Fort Walton Beach High School. All wind ensemble parents are encouraged to attend! Each one of our concert ensembles will be giving their annual Concert Music Performance Assessment performance this Thursday or Friday at Fort Walton Beach High School. This is an adjudicated performance, and is absolutely mandatory for every student in the band program. Concert Band will depart Pace HS at 12:30p. Students will need to bring their concert black attire to school (labeled in a garment bag) and a lunch to eat before we depart. Symphonic Band will depart Pace HS at 1:30p. Students will need to bring their concert black attire to school (labeled in a garment bag) and will need to eat during 1st lunch (12:04-12:34p). Wind Ensemble will depart Pace HS at 4:15p. Students will need to bring their concert black attire to school (labeled in a garment bag). 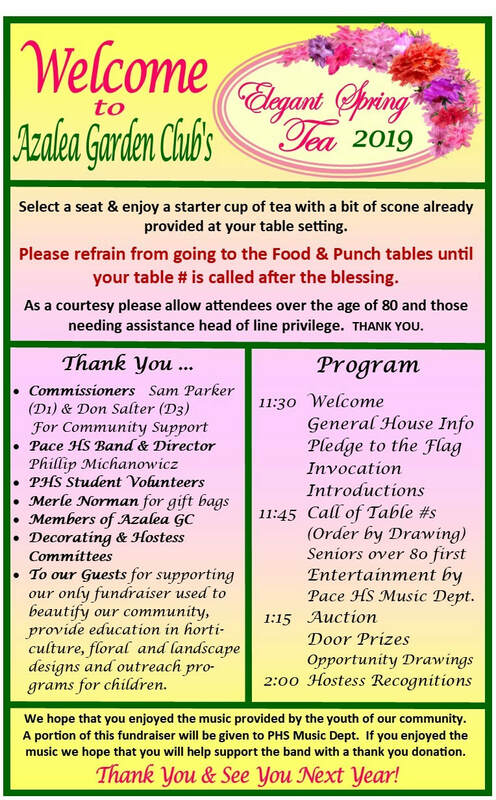 This Monday, the Jazz Band will perform at the Azalea Garden Club's "Annual Spring Tea", held at the Pace Community Center. This performance is a fundraiser for the band program and a great performance opportunity for our Jazz Band! Students will be excused from their classes at 10:00am to begin loading and transporting to the Pace Community Center. They will perform from 11:30am - 1:30pm, and will return back to school by 2:30pm. Parents/Guardians, please make sure your student has given you the attached transportation form for you to sign for this performance. This form needs to be turned back in on Monday before they students depart for the "Annual Spring Tea".